Leasing Lifestyle will be focusing on various issues relating to the Single Family Rental (SFR) Industry. The topics that will be covered will include activism, affordability, community, manufactured evictions and the eviction process, HVAC issues, illegal fees, HOA disputes, legislation, litigation, Main St vs Wall St, maintenance, mold, plumbing, REO's, rental scams, securitization, water damage issues and much more. We invite you to learn with us, because together with you, we can make knowledge power. 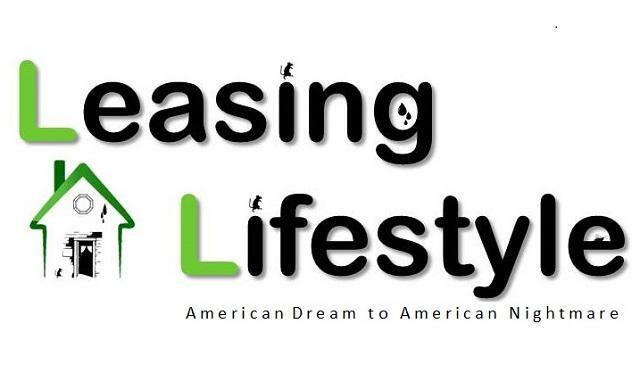 Leasing Lifestyle, is also on Facebook and Twitter and Google+. Follow us for updates from across the web, as well as information, news, links, articles and a steady stream of helpful tidbits on the Leasing Lifestyle and the Single Family Rental Industry. If Facebook or Twitter or Google+ aren’t your thing, you can also subscribe via email on the top right side of the site's home page or through our RSS feed here. Leasing Lifestyle is the sister site of 4closureFraud.org , an all-encompassing, direct resource on the Foreclosure Crisis a/k/a The Great Recession and how it brought us to where we are today. If you truly want to understand how the Great Recession came to be, and never went, be sure to check out the non-fiction book, Chain of Title: How Three Ordinary Americans Uncovered Wall Street's Great Foreclosure Fraud, written about our work, by David Dayen, during the crisis. Now, those same players that destroyed the world's economy back in 2008 are back at it again in the Single Family Rental (SFR) Industry. People must learn from the past to understand the present, so they can properly face the future. If not, nothing is going to change. Lisa Epstein, Michael Redman, and Lynn Szymoniak did not work in government or law enforcement. They had no history of anti-corporate activism. Instead they were all foreclosure victims, and while struggling with their shame and isolation they committed a revolutionary act: closely reading their mortgage documents, discovering the deceit behind them, and building a movement to expose it. Harnessing the power of the Internet, they revealed how the financial crisis and subsequent recession were fundamentally based upon a series of frauds that kicked millions out of their homes because of false evidence by mortgage companies that had no legal right to foreclose. As Rolling Stone's Matt Taibbi noted: "Chain of Title is a sweeping work of investigative journalism that traces the arc of a criminally under-reported story in America, the collapse of the rule of law in the home mortgage industry."